Sheffield band, 65daysofstatic, is responsible for the music within Hello Games’ upcoming No Man’s Sky, but listening to their 2004 debut, The Fall of Math, an exploratory space opera is the furthest thing from my mind. There’s a strange blend of raw, industrial noise and beautiful melody, underpinned by thumping baselines and aggressive drumwork that all comes together to create a remarkable sound. Were I to associate it with any game, it wouldn’t be something like No Man’s Sky; the album calls to mind bullet hell shoot ‘em ups like Ikaruga and Touhou Project. Some tracks would make a fitting score to the mass killings of a game like Doom, and others take a more layered and introspective direction that makes me think of Life is Strange. 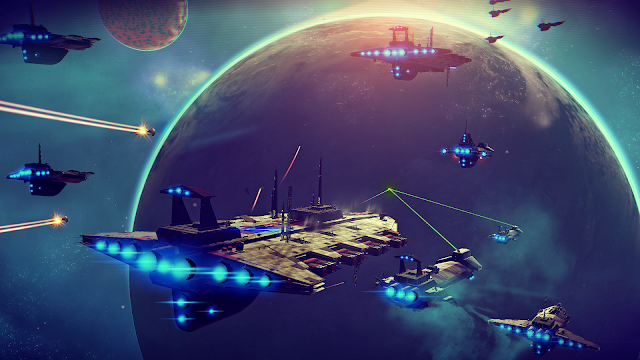 Hello Games and 65daysofstatic first got together because the developers wanted to license the track Debutante for a trailer that would publicly reveal No Man’s Sky. 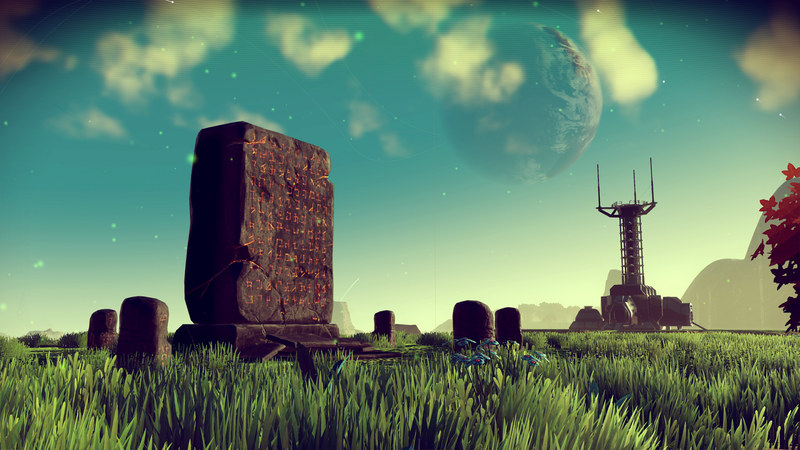 “Back then, the project was just on the cusp of being called No Man’s Sky, having previously been called ‘Project Skyscraper’, which at the time seemed enigmatic but later became amusingly ironic as we wrestled with the rough hewn sun-baked crude mud blocks of raw audio we were trying to construct into a glossy, highly polished black monolith of sound,” Shrewsbury said. 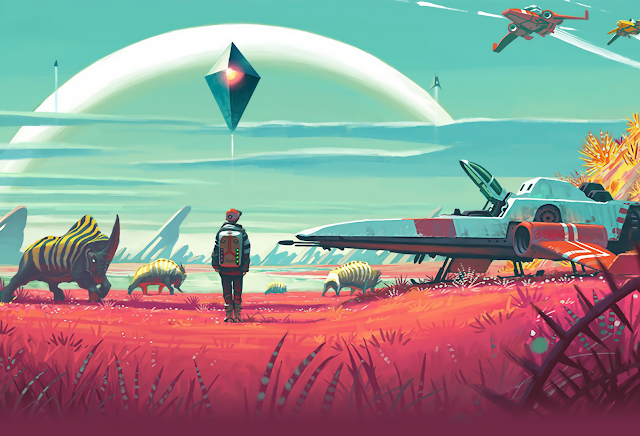 Of course, with every other aspect of No Man’s Sky relying so heavily on procedural generation, to the point of creating an in-game universe that is functionally infinite, it makes sense that the music, too, would be randomised. However, music is typically seen as a linear art form, so I would have assumed that the idea of non-linear music must have been difficult to wrap the mind around. Shrewsbury, however, said the team was unfazed by this challenge. “In some ways, a lot of the in-game audio design felt very freeing. 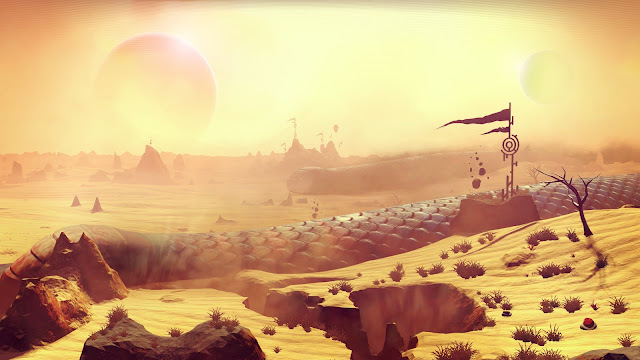 Some of what we do anyway crosses into what might more accurately be termed sound design rather than pure composition, but No Man’s Sky provided a lot more scope for this. Being in the studio with loads of amps and instruments and trying to make the strangest sounds possible is a luxury for a band like us, so we had great fun doing it. The pressure comes with making sure all these pieces of audio not only relate, but combine to create something with an emotional agency to them. We really wanted to transcend standard background ambience, so that’s where all the difficulty was. 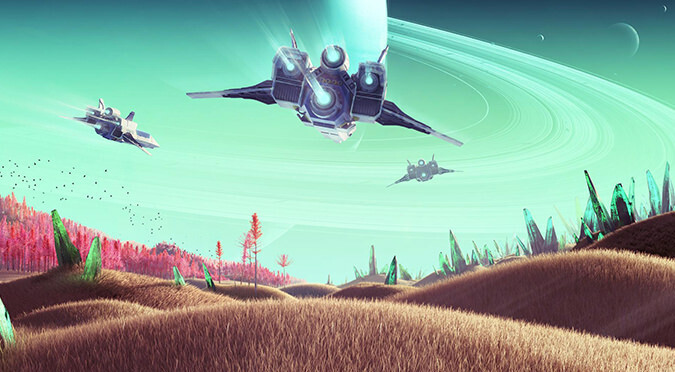 “But we were working with the excellent Paul Weir, the audio director on No Man’s Sky, and the software he designed was relatively user friendly. On top of this, at least half of 65 are pretty good with computer stuff. We used some common software, a program called FMOD and also Max to sort of ‘fake’ randomness while we were compiling audio, to check. For its theoretical challenges, there have been experiments done with procedural sound design in games. In fact, it’s the core hook of Proteus, an exploration game in which your interactions with the environment cause the music to bend and mutate in quite fascinating ways. Proteus was a polarising game, to say the least, but regardless of what you think of the game as a whole, it’s hard to deny the success of its approach to music. This makes it an important point of reference for a game like No Man’s Sky, which has a lot of similarities, albeit in a very different context. This might seem like the complete opposite of what No Man’s Sky is going for – a linear, crafted soundtrack to a game that has procedural generation at its core – but the album served as the basis for the game’s music. It’s this that was 'smashed into millions of pieces' that could be used for the music generation systems in No Man’s Sky. 65daysofstatic’s immediate plans for once the project wrap are the normal post - album release plans, or at least, as 'normal' as a band like this gets: releasing the music, getting a chance to play it live, and hopefully getting to relax a little bit. But what happens after that? Would they do another soundtrack project? “We are always open to new projects. I think it would be difficult to go looking for a game project where the composer’s involvement was so integral to the finished project even after the music had been recorded,” was Shrewsbury's response. “But we’re open to ideas. 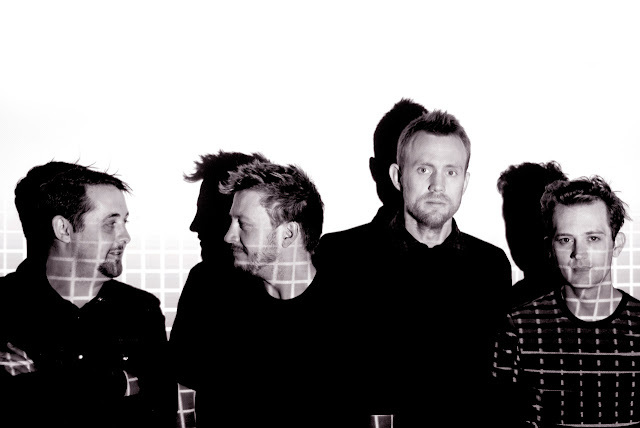 It’s consistently rewarding to us that 65 still exists, some weird noisy uncool band that started over a decade ago, and I think part of the reason we’ve survived so long is being enthusiastic and open to ideas that might be slightly unconventional. For now, the plan is: release the music, play the music, and maybe, just maybe, take some to play a few games – No Man’s Sky, perhaps?